WeightLiftingGloves.com was gracious enough to provide our athletes with gloves last season. The gloves were an invaluable tool during our training sessions throughout the course of the season. All the coaches and athletes are thankful to weightliftinggloves.com for their support. 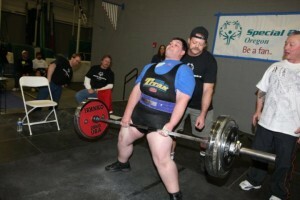 –Brandon Guild, volunteer Head Coach, Special Olympics Oregon – Multnomah County power lifting. WeightLiftingGloves.com is proud to be an Oregon based business and one of our favorite Oregon charities is Special Olympics Oregon. The Special Olympics Oregon regional Power Lifting Competition takes place in Corvallis, OR on March 21st, 2015. WeightLiftingGloves.com sponsored 30 local Special Olympics athletes with pairs of Power Lifting Gloves for training before the event and for their ongoing training. We are glad we could support athletes in their training, and we are happy to support an excellent organization like the Special Olympics Oregon. When you purchase any workout gloves or accessories from WeightLiftingGloves.com or one of our affiliates, a percentage of your purchase will go toward supporting Special Olympics Oregon. If you are a charity or know of a charity, that might benifit from our support, feel free to contact us ryan@weightliftinggloves.com.